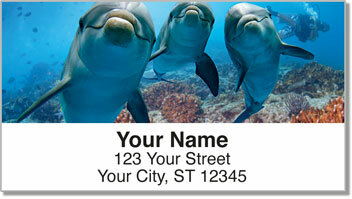 Vivid photographs of friendly dolphins make an excellent address label selection for all types of animal lovers. If you've ever had the unique experience of swimming with a dolphin, you know just how playful and sociable these intelligent sea creatures can be. They always seem to have smiles on their faces and twinkles in their eyes! 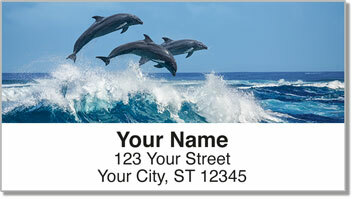 Dolphin Address Labels from CheckAdvantage let you add original wildlife photography to your letters and packages. The convenient, self-adhesive backing means you'll save tons of time too. Just peel and stick on all your outgoing mail! 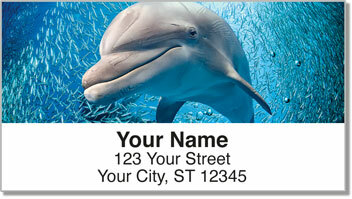 Order your very own Dolphin Address Labels today! 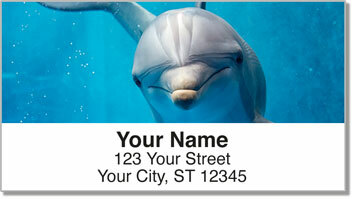 This darling dolphin design can also be found on a set of matching personal checks!